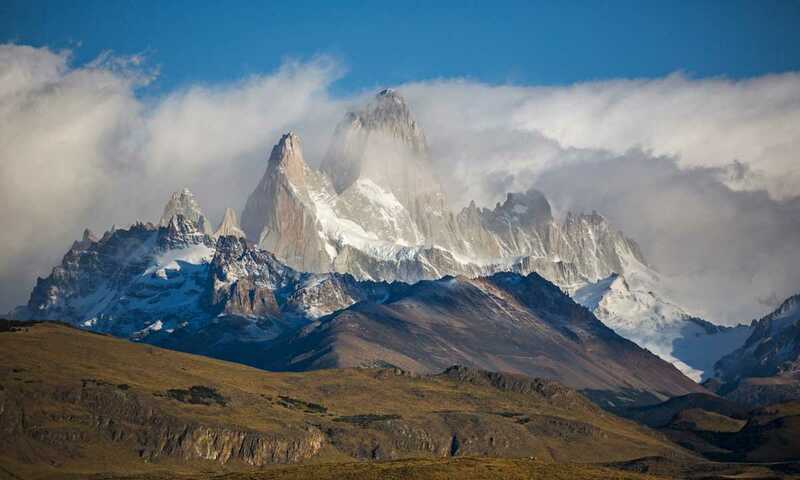 An incredible group tour that takes in a remarkable range of Patagonia's top sights. 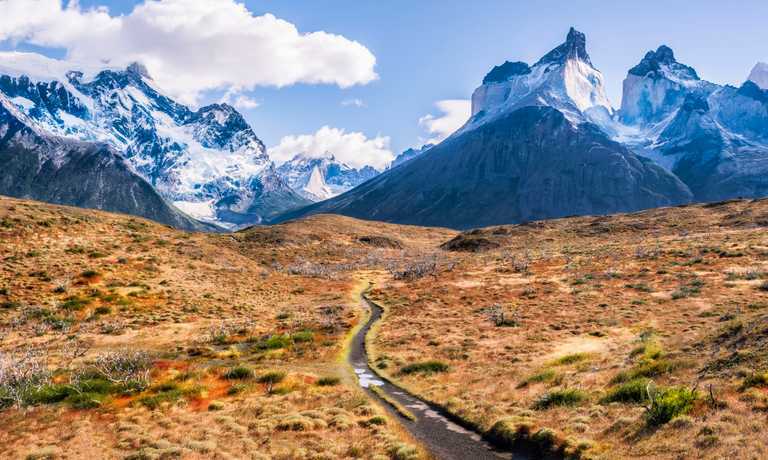 Everything is arranged in advance to take you seamlessly from the Fitz Roy massif in the north, via Perito Moreno glacier to Torres del Paine, then south to Ushuaia and a boat trip in Darwin's wake along the Beagle Channel. 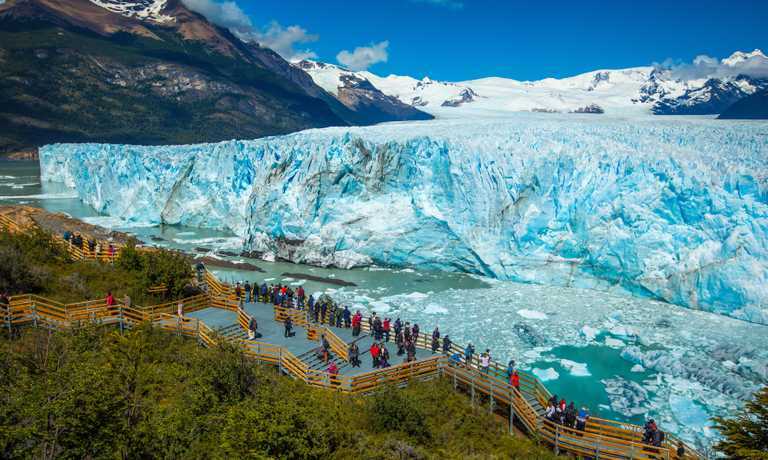 Travel to the Perito Moreno Glacier for an included guided tour and explore the natural wonder of the world's few "advancing glaciers"
As there are no planned activities until an evening welcome meeting, you can explore the city after checking into the hotel. If time allows, opt to visit the districts of La Boca, Recoleta, and San Telmo, or catch a tango show. Booking pre or post-trip accommodation is highly recommended to fully experience this vibrant city. The adventure begins tonight. Arrive back in time to meet the group where you will have introductions and your CEO will share the details of the days ahead. Please note that normal check-in times apply at our first night hotels, but you can usually store your luggage for the day if you arrive early. Enjoy an included full-day guided hike in Glacier National Parkthrough the scenic terrain of lakes, tree covered trails and of course snow cover mountains. If you are lucky you'll get a glimpse of Fitz Roy. See granite pinnacles spiraling upward from the third largest ice field on earth. Hike to Laguna de Los Tres to fully appreciate majestic Cerro Fitz Roy/Chalten (3441m/11290ft), it's probably the most famous and popular viewpoint of the mountain. Enjoy a free morning before heading to the quaint little town of El Calafate. Enjoy this free time any way you want, hike to take in spectacular views or kick back and relax to gear up for the adventures yet to come. Travel to Perito Moreno Glacier for an included guided tour. Get out there and explore the natural wonder of Perito Moreno Glacier, one of the world's few "advancing" glaciers. Head to the southern end of Los Glaciares National Park (Glacier National Park), where Moreno's 60m (197 ft) wall of ice sporadically chokes off the narrow Canal de los Tempanos (Iceberg Channel) creating a natural ice dam, eventually exploding in a dynamic display of force. Travel by bus into Puerto Natales to prepare for the upcoming days of included hikes with expert mountain guides. Continue the journey south along an unpaved road to the border of Chile. Spend a relaxing evening in scenic Puerto Natales before heading into spectacular Torres del Paine National Park. Explore the town, eat a hearty meal for energy, and rest well for the hike ahead. Do any last minute shopping here and rent all equipment required. Any extra gear not required for the hike can be stored here. Any necessary hiking gear like poles, sleeping bag, rain gear, etc can be rented in town. Cross the pampa Patagonica first on asphalt roads to Cerro Castillo, stopping for a quick break. Continue by dirt road with some photo stops , the views here are beautiful! Start checking for wildlife - lots of guanacos and (likely) condors, geese, and other birds as well. Enter the national park and continue for another 30 mins to the start point of the trek. Leave early and go by van to Torres del Paine National Park. Head with the group to the base of Las Torres campsite - a local guide will lead the way and the CEO will act as sweep, keeping everyone together. Hike about 4-5 hrs in and 4-5 hrs back - it's oh-so-worth-it! Transfer to the campsite at the end of the day for some spectacular food and time to reflect on the day. Cross lake Pehoe by ferry and trek to the French Valley, from the lookout point see the mountain range spread across the National Park. Take in the dramatic, contrasting greens and greys on the landscape and enjoy another full day of spectacular scenery and physical exertion. Lace up your boots for one last day of trekking in this gorgeous region. Make your way to the Glacier Grey lookout and back. After, catch the ferry and head back to Puerto Natales. Take a bus south to Punta Arenas and then head to the Magellan Strait before hopping on a ferry for 20-30 mins. Re-board the bus on arrival to Tierra del Fuego. Stock up on snacks and settle in - it's a long journey. Cross the border, after a couple of hours, change to a van and continue on to Ushuaia, 'the end of the earth'. Birdwatching - Keep your eyes peeled and binoculars ready to spot some amazing birds. Tierra del Fuego National Park Hike - Head out to Tierra del Fuego National Park for a scenic hike - make it as short or as long as you like! Horseback Riding (850 ARS per person) - Ride around Ushuaia on horseback for amazing views of the landscape. A Ushuaia Helicopter Ride (2300 ARS per person) - Sore above Ushuaia, admire the natural beauty of the landscape and gaze out at the touring mountains. The Beagle Channel Boat Cruise - Cruise along the Beagle Channel to see penguins at Isla Martello. Observe rock cormorants and sea lions sharing a cliff-side resting spot. Visit Bird Island where king and imperial cormorants live and Isla de Los Lobos to spot plenty of seals. Finally, stop at Isla Martillo to see Magellanic Penguins, before returning to Ushuaia. A Tango Dinner Show ($80 USD per person) - Discover the passion of tango and watch the pros step and slide around the dance floor while you dine on a traditional Argentine dinner. Get lost in the music, savour the sensuality, and see why this traditional dance continues to ignite the senses of locals and visitors alike. A Buenos Aires Bike Tour ($33 USD per person) - Experience this vibrant city cruising around on a bicycle with a local Argentine. Bike, helmet, knowledgeable tour guide, they've got it all taken care of, just come along for the ride and take in the many historical sights on offer. Discover Plaza de Mayo, San Telmo, colourful Caminito, and the working class neighbourhoods where Tango was born. A Buenos Aires Guided City Tour - Enjoy a guided tour exploring beautiful, vibrant Buenos Aires. Be introduced to historic sites and districts, including Plaza de Mayo where Eva Peron's famed balcony presides over the square. See La Boca and San Telmo's colourful street life, painted houses, and the famed Recoleta Cemetery. A Tour of Teatro Colón (250 ARS per person) - Explore this stunning opera house on a guided tour and find out why it is voted one of the best acoustic venues in the world.